The art of making ceramics is one of man's most ancient activities. The combination of earth, fire, and human workmanship has long created objects of practical and ornamental beauty. 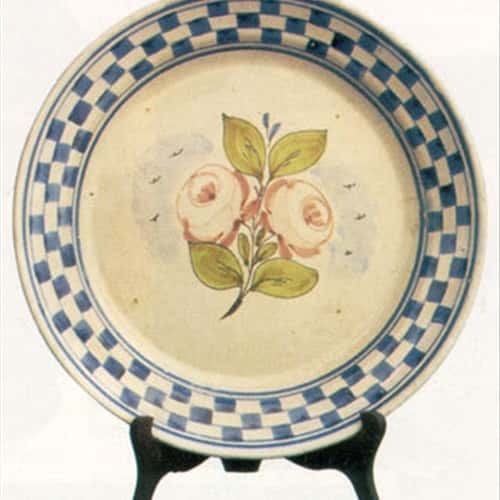 Ceramic products have been produced in many areas and countries, but Italy has certainly always been one of the most well known for its ceramics. 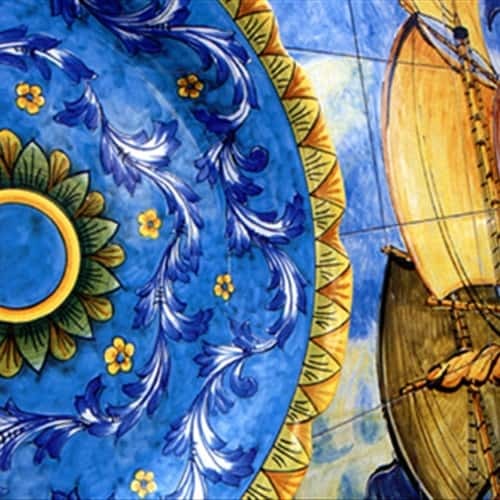 One of the major centers of ceramic production in Italy has been Vietri sul Mare in the Amalfi Coast, together with Positano. 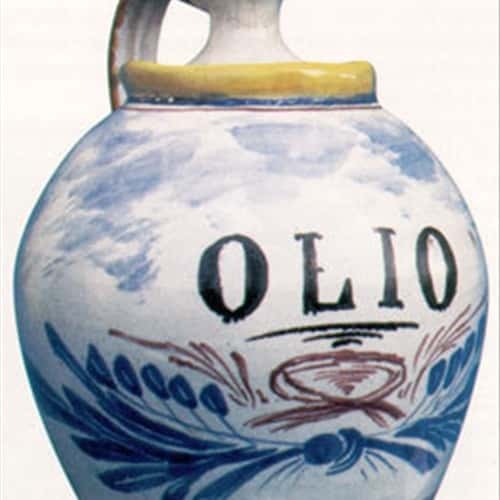 Ceramics produced there exited via the bay of Salerno, bound for Sicily, Calabria, and the Mediterranean watershed. The area of the Amalfi Coast has been one in which the local earth, rich in clay and volcanic content, has been used to produce ceramics for thousands of years. It was a popular summer retreat for Ceasars in Roman times. The reflection of the local landscape in its ceramics have been valued by tourists and Ceasars alike. During the 20th century, Vietri's neighbor, Positano, largely due to an article written by John Steinbeck for "Harper's Bazaar", became a very important tourist destination. As its tourism industry has grown, so too has its art community. Today, some of the finest ceramics are produced in the small towns that dot the landscape. The natural beauty of this area is reflected in the ceramics produced there. Inside of the tower in the garden of Villa Guariglia in locality Raito di Vietri sul Mare it has been realized the Museum of the Ceramics, that shows to the people the typical production of Vietri sul Mare, together with south Italy ceramic examples (info 089.211835).